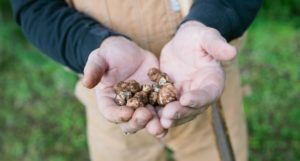 What do wild Oregon grown and harvested truffles have in common with James Beard and Albany, Oregon? Quite a bit as it turns out—and the recent Oregon Truffle Feast at Sybaris Bistro illustrates the connection perfectly. Beard was still a young cook when he established his home and career in New York City. He authored cookbooks, became a television cooking show personality, and opened a cooking school in Manhattan (as well as Seaside, Oregon). In the 1950s he was dubbed “… the face and belly of American gastronomy,” as noted by David Kamp in the book The United States of Arugula. Beard’s legacy for cooking with fresh local and seasonal ingredients was handed down to many a talented chef after he passed away in 1985. His personal home in New York City became part of a working foundation that showcases talented chefs and regional American cooking. To cook at James Beard House is an honor for chefs—and Sybaris Bistro’s owner, Matt Bennett, is no exception. Chef Bennett was invited for his third appearance at Beard House this January, where he served his unique interpretation of Pacific Northwest Cuisine—building a seven course menu featuring wild Oregon truffles. In preparation for the New York dinner, Bennett and his team prepared and hosted two Albany, Oregon-based suppers to coincide with Oregon’s Truffle Festival. Both dinners were sold out almost as soon as they were announced. Menus for the Albany and James Beard House dinners were similar with minor variations. They both featured a series of gastronomical delights such as hazelnut foie gras with black truffle, black truffle miso marinated black cod, double white truffle pheasant breast with truffle buttered cabbage, and the pièce de résistance: a black truffle pot de creme with hazelnut oil gelato and truffle and hazelnut streusel. All ingredients, including wine pairings, were sourced by Bennett, his wife Janel and staff. They were transported by the Sybaris team in a series of coolers shipped in place of personal luggage. Carefully watched over and guarded, the truffles, black cod, pheasant, Dungeness crab, and Oregon grown vegetables safely arrived in New York. AVA was lucky enough to have a seat at Sybaris’ truffle feast. Chef Bennett regaled diners with tales about Oregon truffles, the reasons behind the menu he created, and a bit about James Beard’s gastronomical history and the famous house where his truffle feast will be served. 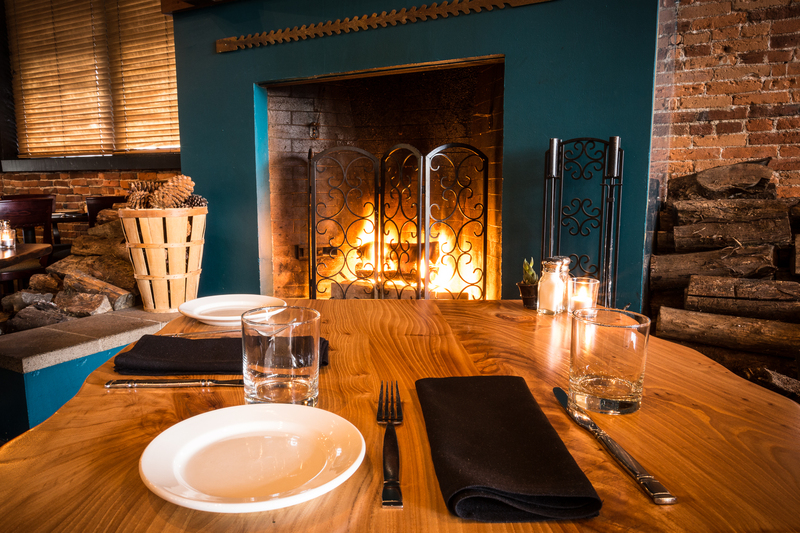 We delighted not only in Sybaris’ ambience, with its enormous fireplace and cozy crackling fire, exposed brick walls, plank tables, starched napkins and stellar tableside service, but in chef’s creativity and delicious sense of humor. A sometimes overlooked ingredient (pig’s foot!) was used to construct a sausage-like croquette with wild mushrooms and white truffle verjus. Bennett’s unusual selection was a tongue and cheek homage to the French method that utilizes pigs to harvest truffles. Bennett is known for playing with ingredients and creating dishes that are metaphors for their inspiration. Sybaris Bistro’s dinner menus change monthly, featuring locally sourced fresh ingredients in season. 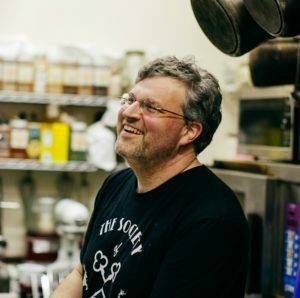 It’s no wonder Bennett captured the attention of the James Beard Foundation—he warm-heartedly embraces the core Beard value to cook with what is available within reach. 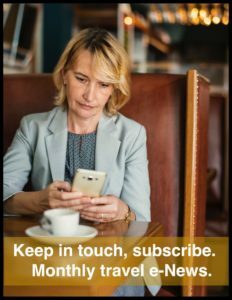 If you want to experience Sybaris in a Beard-like manner, stay tuned to their Facebook and website. Bennett and his culinary team create special themed dinners to celebrate holidays with limited dining events such as “A Dickens Dinner” or Valentines Day. These menus typically feature multiple courses with additional wine pairings. They’re a great way to jump into Bennett’s “style de cuisine” and either celebrate the end to an extended weekend or start one out. Whatever draws you to Albany, a visit to Sybaris Bistro should definitely be part of your travel itinerary. Although not required for regular dinner service, reservations are advised. Sybaris is enormously popular with the locals as much as with culinary travelers. Specially themed dinner events almost always sell out ahead of time, so reserve early for holidays or farm-to-table or Thanksgiving benefits.